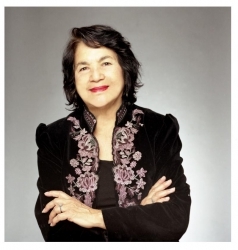 Since 2013, the Dolores Huerta Foundation has called for changes in Kern County Law Enforcement’s approach to public safety, more oversight and transparency when it comes to use of force, and a more fair system for investigating complaints of excessive force and controversial homicides. The Guardian report revealing that among all US counties, Kern County saw the most deaths per capita at the hands of law enforcement, is alarming and confirms that there is a crisis here that needs to be addressed. Such excessive force by certain officers in law enforcement is particularly disturbing given its disproportionate impact on people of color. The DHF is grateful for ethical and law-abiding police officers who put their lives on the line every day to keep the community safe. However, the community has the right to demand that bad apples, within the institution, be held accountable. Criminal behavior left unchecked taints the entire institution. A system lacking transparency and sufficient oversight is not serving the public interest and must be reformed. 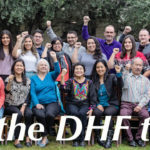 “The DHF will work with local partners and community members to find the solutions needed to help the community restore their trust with local law enforcement,” says Camila Chavez, Executive Director, Dolores Huerta Foundation.